Born: 27 December 1843, Stellenbosch, South Africa. Died: 16 August 1898, Mosterthoek, Cape Colony, South Africa. Josias Eduard ("Jos") de Villiers, son of Jacob Isaac de Villiers and his wife Esther Elisabeth Johanna Hoffman, was admitted as a land surveyor in the Cape Colony in 1863 and practiced at Boshoff in the Orange Free State (now the Free State). In 1869 he surveyed the boundary between that territory and Griqualand West, between the Orange and Vaal Rivers. From 1875 to 1882 he was a member of the Volksraad, representing Boshoff. In 1876 a new position for the disputed boundary between the Orange Free State and the Cape Colony (including Griqualand West) was decided upon and de Villiers was appointed as the Free State representative on a two man team to place the line beacons. The representative for the Cape was Major (later Major-General) Warren. As de Villiers had still to attend Volksraad meetings, most of the work was done by Warren. De Villiers also determined the latitude and longitude of Bloemfontein and his results were listed in the Transvaal almanac for a number of years. In 1882 he sought admission as a land surveyor in the Transvaal, and in August 1886 applied unsuccessfully for the post of mining commissioner and claims inspector for the Witwatersrand. However, in October that year the Executive Council of the Transvaal accepted his tender to lay out the first 600 stands of the new town Johannesburg, on a portion of the farm Randjeslaagte. He completed the work in just 14 days, from 19 October to 3 November 1886, and took his payment in the form of stands, rather than cash. De Villiers Street was named after him. 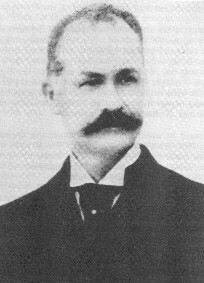 In 1895 de Villiers sold his properties and moved to Cape Town to devote more time to his interest in astronomy and to run for a seat in the Cape Parliament. He joined the Royal Astronomical Society in 1896 and took part in an expedition organized by the society to observe the total solar eclipse of 8 August 1896 at Vadso, on the northern coast of Norway. He provided the astronomers with latitude and azimuth data, but unfortunately the eclipse was clouded out. In January 1897 he was elected a Fellow of the Royal Astronomical Society, having been proposed by H.M. Astronomer at the Cape, David Gill*. Meanwhile he was erecting an observatory building in Sea Point, at the corner of Graham Road and Worcester Road, capped by a 5,5 m dome manufactured by T. Cooke & Sons. The observatory included a meridian room and was to be equipped with two telescopes, one by Cooke and the other a transit instrument by Zeiss. But de Villiers, who had been campaigning in Vryburg as a candidate for the House of Assembly in the upcoming general election of 1898, was killed in a railway accident in the Karoo in August that year. He was a pleasant, sociable and industrious man who would undoubtedly have contributed to South African astronomy in the next few years. He was survived by his wife, Christina Maria Elizabeth de Vos, with whom he had three sons. One of his sons, Theodore Vivian de Villiers, also became a surveyor. Appelgryn, M.S. Johannesburg: Origins and early management, 1886-1899. Pretoria: University of South Africa, 1984. Cape of Good Hope. Report of the Surveyor-General, 1880, list of admitted land surveyors. Hurly, R.F. Presidential address: Astronomers and surveyors. MNASSA, 1979, Vol. 38(7-10), pp. 59-64. Hurly, R.F. Josias Eduard de Villiers, surveyor and astronomer. South African Survey Journal, 1983, Vol. 19(2), pp. 24-28. National Automated Archival Information Retrieval System (NAAIRS). http://www.national.archives.gov.za/naairs.htm Documents relating to De Villiers, Josias Eduard. Transvaal almanac and directory, 1877, p. 69; 1881, p. 179: position of Bloemfontein. Warner, B. & Hurly, R.F. J.E. de Villiers's observatory at Sea Point. MNASSA, 1976, Vol. 35(5-6), pp. 57-62.